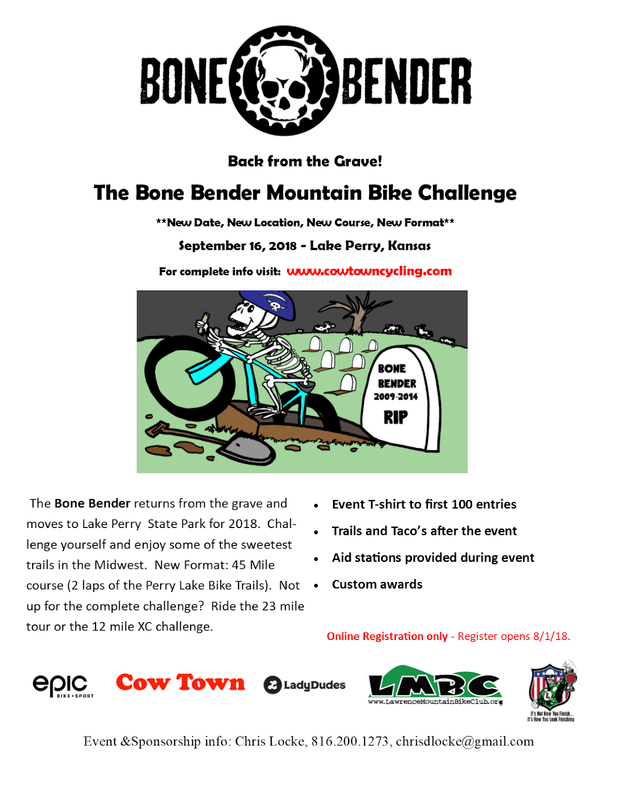 Builder Designs presents the 2018 Bone Bender Mountain Bike Challenge. 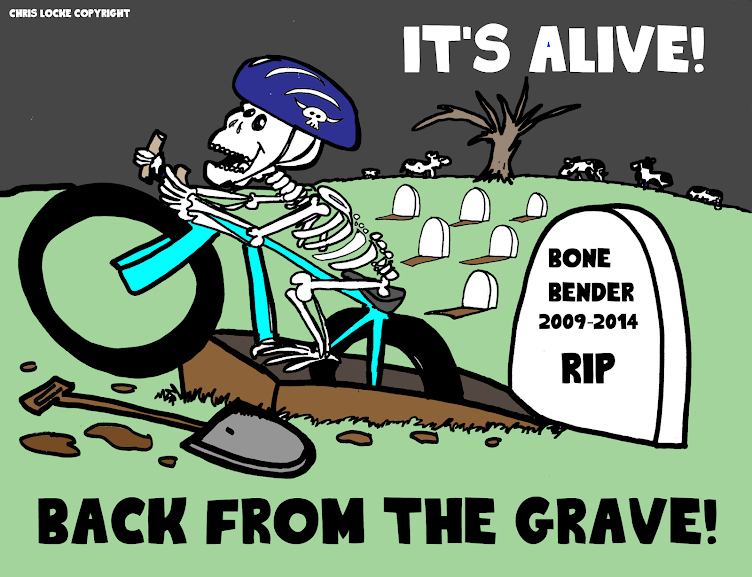 Back from the grave, a classic endurance mountain bike event returns to the Midwest with a new date (9/16/18), new format, new venue/course. Thanks to Lyle Riedy and a cast of wonderful volunteers from Ladydudes, LMBC and Cow TownCycling our new home is Perry Lake State Park. A great course and venue awaits everyone for this year’s event. 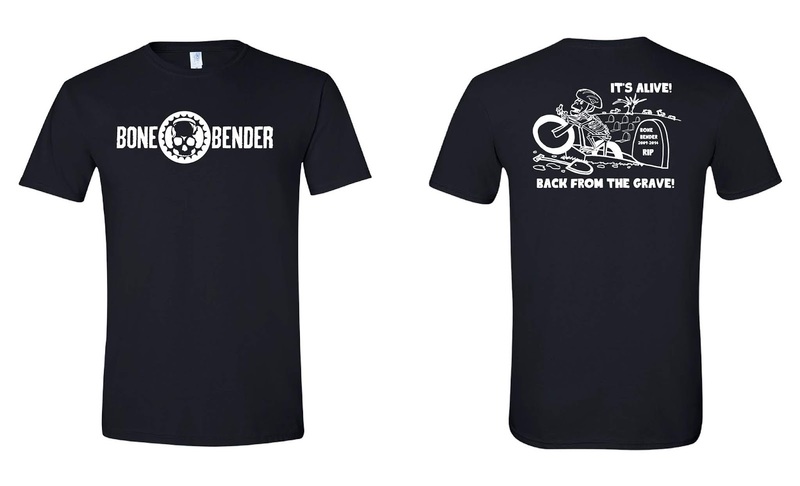 Event t-shirt to first 100 entries. Aid stations to help you get through the event. Full course Race participants must begin lap 2 by 12:00 Noon. Directions: From Lawrence, take US Highway 23 West to Perry, Turn North on Kansas Route 237 (West Lake Road). Follow West Lake Road past the Perry State Park Office, across the bridge towards Rock Creek Marina. Just past the marina and the bridge, take the first right. Parking and trail head on the right at the end of the pavement. Packet Pickup: Packets will be available at 7:30 am on race morning. 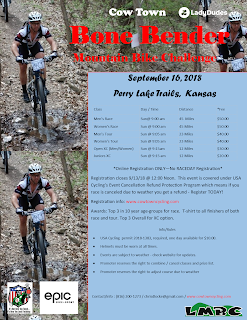 Location Perry Lake MTB Trail head. This is also the start/finish of event. Parking: Parking is available at the event venue. 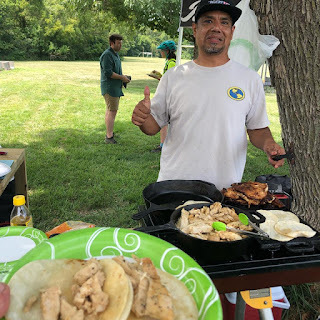 Post Event: Enjoy a wonder post race meal provided by Trails and Tacos. 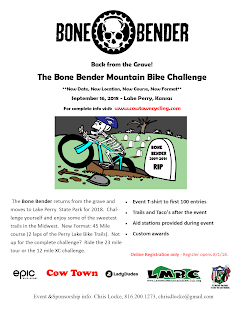 Sponsoring teams: Cow Town Cycling and The Ladydudes. 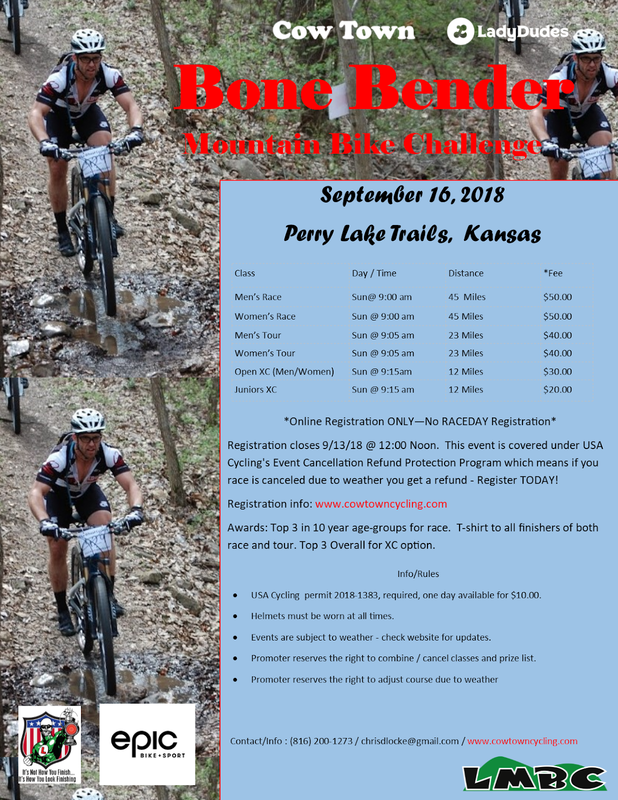 Sponsors: Builders Design, Epic Bike and Sport,Trek Store of Shawnee, Horizon Cycling, Let's Ride Bikes, Spokes Cafe & Cyclery, Bike America, Family Bicycles and Cycle City. Check back for updates as our event approaches. Help spread the word.